Wednesday night marks the third and final debate between presidential candidates Hillary Clinton and Donald Trump. The event will be held on the Las Vegas campus of the University of Nevada starting at 9 p.m. ET and will run for 90 minutes. Going into the debate, Clinton holds a sizable advantage over her Republican opponent. Assorted national polling aggregators put her lead at 6.2 points (RCP), 6.7 points (HuffPollster and 538) and 8 points (CNN poll of polls). Her lead in the head-to-head matchup, without third-party candidates, is even larger. Historically, no candidate has come back from such a large deficit this close to the election. The map of battleground states in the Electoral College is shrinking as well, with as few as three states -- Ohio, North Carolina and Arizona -- within 3 points on average. 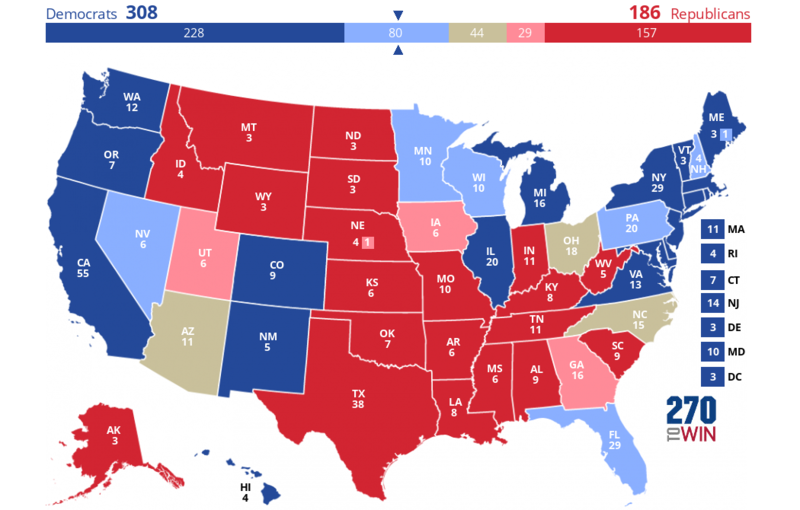 That leads to 308–186 electoral-vote lead for Clinton. The first two debates were seen as wins for Clinton, though the second was closer than the first, which was widely considered a blowout victory. If Trump hopes to climb back into the race, he will need a solid performance in Las Vegas for starters, then he will likely still have work to do in the final 19 days before the election on November 8.